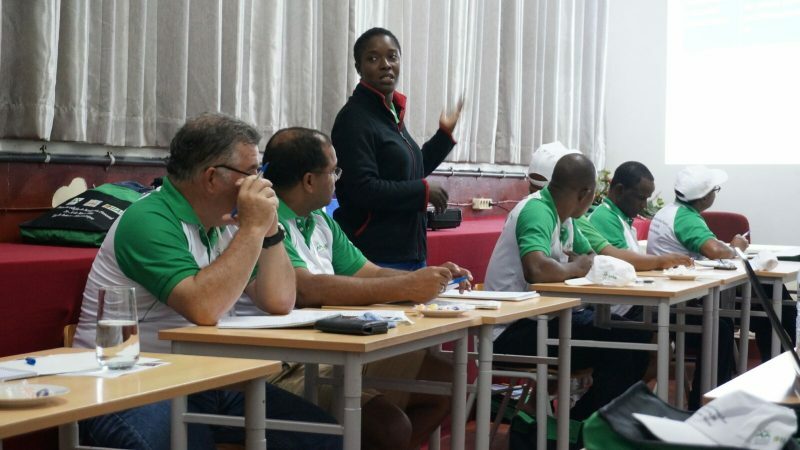 Forest Academy was recently launched in Mozambique, when the first course was organized at the Inhaca Island, situated in the Indian Ocean some 40 km from the coast of Maputo. The Forest Academy, or Academia Florestal, as it is called in Portuguese in Mozambique, took place between May 29th and 31st, 2018. “Our most important target was to raise awareness on the need to preserve the Inhaca island,” says Professor Andrade Fernando Egas from the Eduardo Mondlane University (UEM) in Maputo. The Inhaca archipelago, with an area of 42 km2, contributes to the control of water flow to the Maputo Bay. In addition to being an extensive forest area rich in biodiversity and having important conservational values, it is a site attracting tourism and livelihood. However, the high level of erosion decreases the island’s protective capacity. “We wanted to share different views and offer insight on the level of problems with decision makers. To reduce these problems, we need to build cooperation”, Egas continues. The Forest Academy is a communication programme for increasing dialogue on forest in society. It is a tool for strengthening the role of forests in sustainable development and it can be used to produce input for decision making on strategic issues. The organizers from UEM and the Agrarian Research Institute of Mozambique (IIAM) observed a Finnish Forest Academy course and attended a training session in Finland in 2016. “The Forest Academy concept is a new approach in Mozambique,” summarises Research Assistant Sílvia Maússe Sitoe from UEM. “It has created an opportunity to increase dialogue between different stakeholders, including residents on the island” adds Alberto Manhiça, researcher from IIAM. The event consisted of presentations, group discussions, site visits on the Inhaca island and a summary of key findings. The organizers at UEM and IIAM were happy with the diversity that the participants of the first event – some 20 persons – represented. Participants came from several ministries such as the Ministry of Land, Environment and Rural Development and the Ministry of the Sea, Inland Water and Fisheries, the government of the city of Maputo, business, media, academia and the educational sector. From this first experience, the organizers found the most challenging part of the preparations to be engaging potential high-level participants and speakers. In the future, they hope to get Members of Parliament participating in the Academy, too. They also learned, that to build more dialogue between participants, the length of an Academy should be a bit longer. “Preferably three days,” says Maússe Sitoe. A need for a continuation was recognized during the first event. The organizers’ next step is to summarise the first event and to disseminate the conclusions. “Our plan is to have one Academy every year. After the pilot phase, Forest Academy is expected to continue in various locations throughout the country. But finance and organisation are also to be resolved”, Egas explains. The pilot course was enabled by the Natural Resources Institute Finland, Luke, who brought Mozambique and the Forest Academy together. Since 2012, Luke has been developing Mozambique’s forest research capacity at the Eduardo Mondlane University and at the Agrarian Research Institute of Mozambique (IIAM) in projects called FORECAS 1 and 2. The projects have for instance installed modern laboratory equipment at UEM and IIAM and trained the staff. One of the objectives of FORECAS is to improve the dissemination of forest and environmental information. Möttönen sees that the Forest Academy concept can contribute to the sustainable management of forest resources in Mozambique. According to him, the concept should be used as a tool to tackle challenges regarding sustainable wood processing and energy issues, for instance. I liked the initiative, but I would appreciate if I could have a synthesis of the guidelines produced after the meeting.